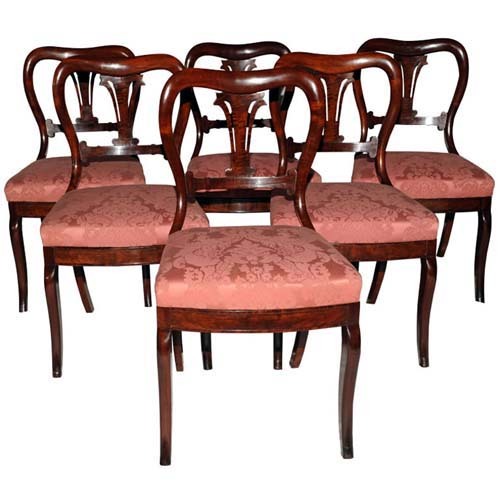 An Important set of 6 Mahogany & Mahogany Veneer chairs made by Duncan Phyfe New York circa 1830.. 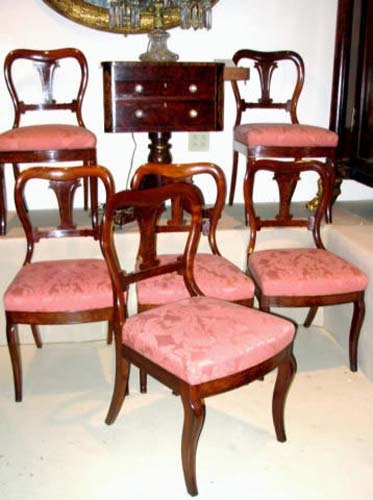 This set was part of the classical furnishings that were assembled by Page Talbott in the 1980's for the NJ Governor\'s mansion called Drumthwacket. 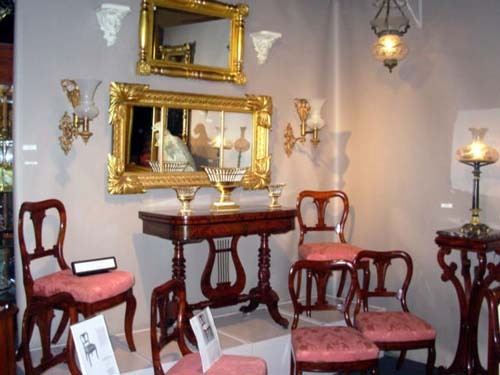 The Metropolitan Museum of Art opened an exhibit of Phyfe Furniture, Dec 20 2011, & there is an identical chair in the exhibit to this set. 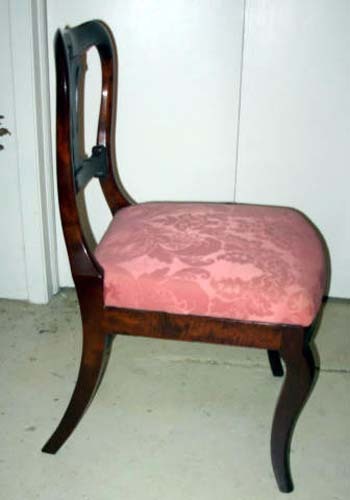 That chair is owned by Glorianna Gibbons a descendent of Duncan Phyfe. 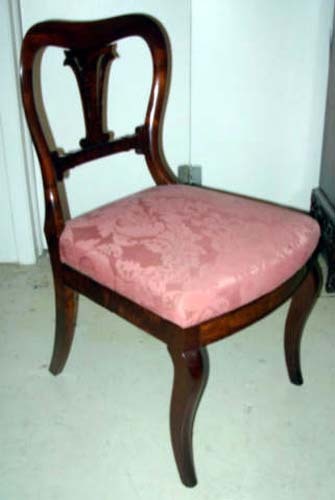 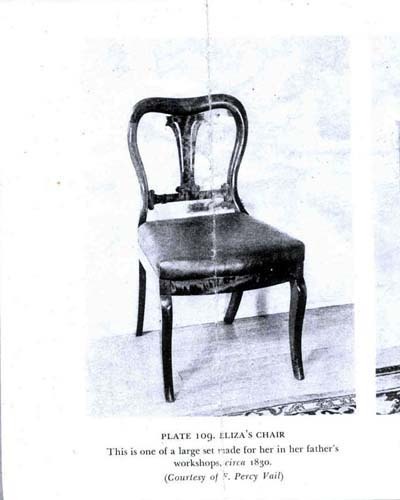 Her chair is part of the set of 16 lotus- back chairs that descended in the family of Eliza Phyfe Vail. 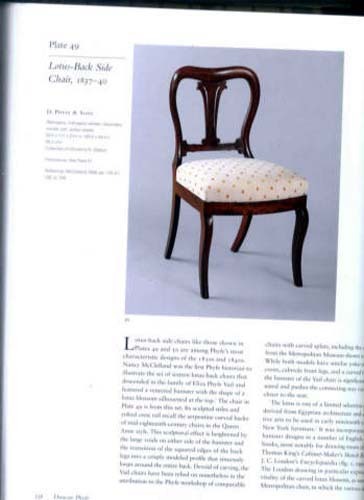 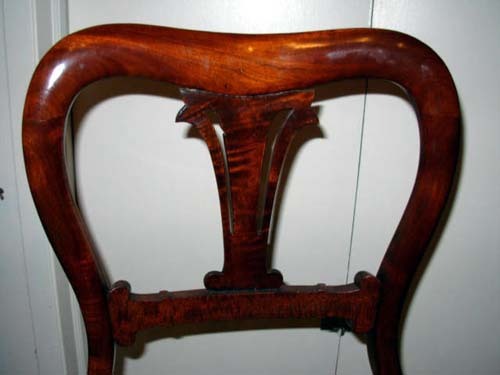 Ms, Gibbons chair is part of that set of 16, & is plate 49 in the catalog to the show, & is the last image shown below.